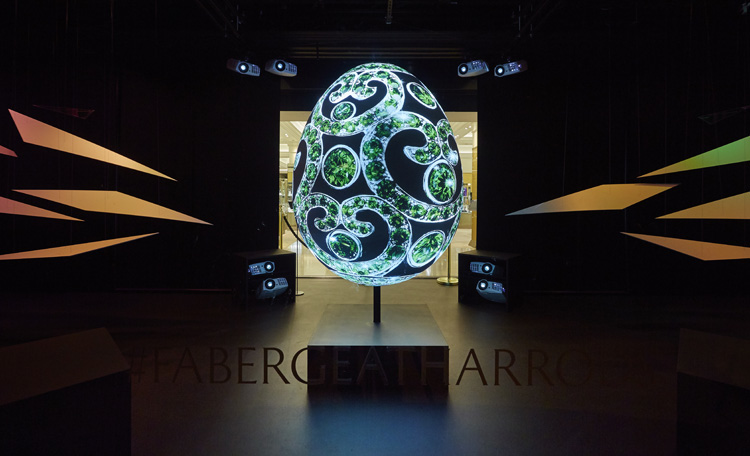 Interactive, virtual Fabergé egg installation at Harrods #ArtTuesday « Adafruit Industries – Makers, hackers, artists, designers and engineers! 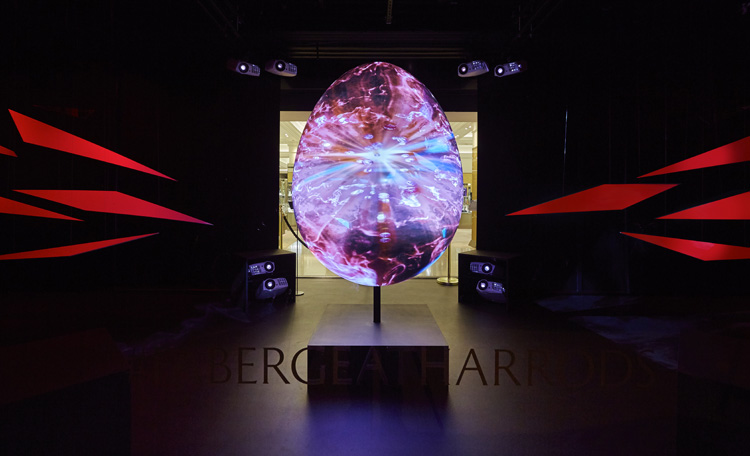 Iconic jewelry brand Fabergé commissioned creative agency Justso and Projection Artworks to develop an interactive, virtual egg for their pre-Easter campaign at Harrods. 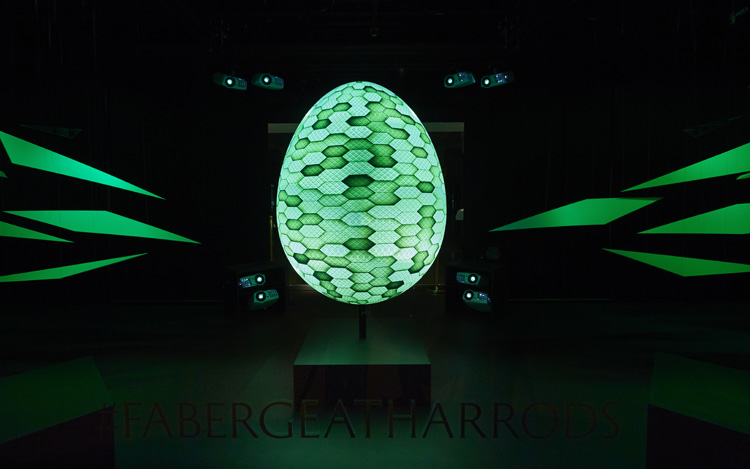 Stuart Henry, award-winning international window designer, conceived the idea of a virtual egg. 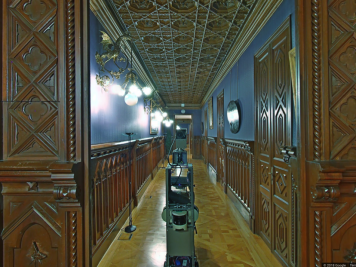 Stuart with his team at Justso visualised an interactive projection art installation exhibited on a 1.5 metre 3D egg- shaped model. 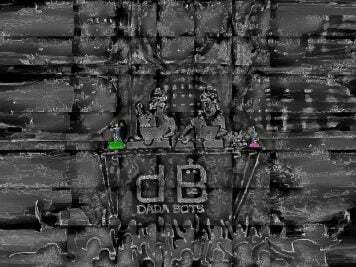 The projection would then be emulated and emitted through suspended shards producing the effect of an explosion. 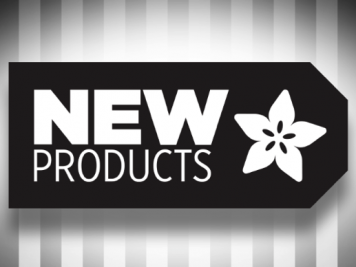 “Working with our partners we pushed the boundaries in projection mapping and utilised the latest technology. The jewel in our crown for the installation was a 1.5 metre 3D egg-shaped model, quite possibly the world’s hardest shape to project onto. The illusion of projection, triggered with each design, gives the impression that the egg is detonated.” explains Stuart Henry. Each colour of the explosive sequence represents the four seasons with emerald as spring, ruby as summer, sapphire as autumn and ultimately diamond as winter. This effect is emulated and emitted through suspended shards, across 18 metres of window-space, producing the effect of an explosion and eventually forming the user’s chosen design upon the egg. “Most outdoor projections are not subject to daylight, but it was imperative for the projection to be visible at all times” said Justso. As result, the egg-shaped model required an unprecedented 14,500-lux, which is the measurement of visible light per square meter. To put this into perspective it is around two hundred times brighter than a typical outdoor building projection.